We, at Overcomers International Ministry, are always striving to improve; to create an environment where everyone feels appreciated. For a long time, ideas have been in the works but enactment of those ideas remained on the edge of fruition. That all changed this month, the month of May. 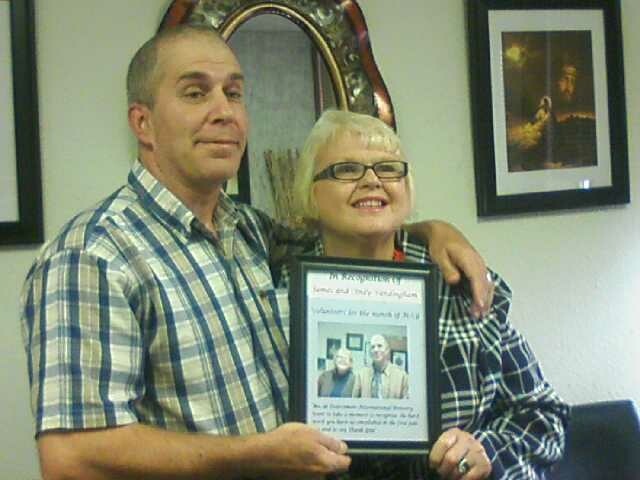 This month, the “Volunteer of the Month” is a couple, one I’ve introduced on here before. They’ve been with us a long time (long before me and almost all of the current volunteers we have). 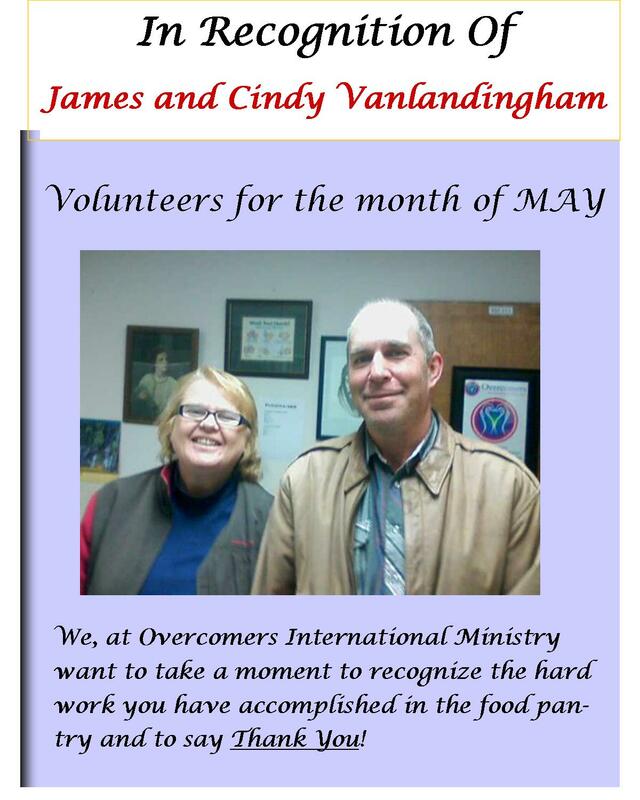 James and Cindy Vanlandingham have put a lot of work into our food pantry – and deserve to be recognized. 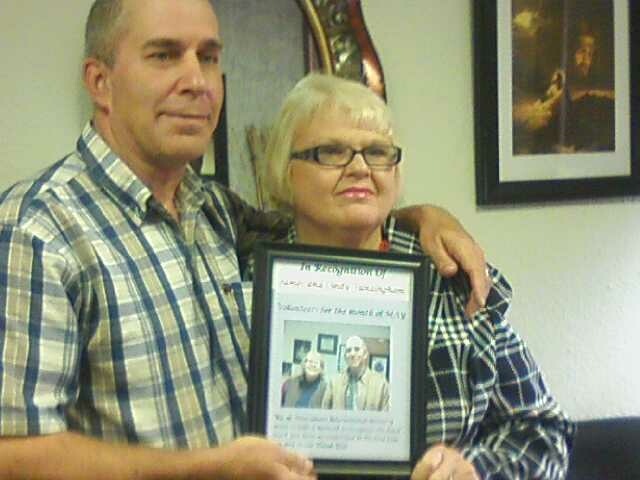 Thank you, Cindy and James, for your hard work. Your organization in the food pantry, Cindy and your willingness to go get the supplies that are donated to us and hauling them in to be inventoried and sent back out, James. You’re both blessings here and we value you very much!